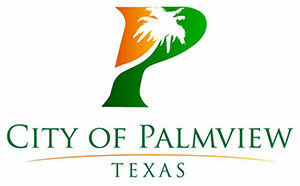 PALMVIEW — Questions about the relationship between the city and the Palmview Crime Stoppers culminated Tuesday in a heated confrontation between the council members and Crime Stoppers representatives. It was during a council meeting Tuesday that elected officials asked why the organization appeared to hold events throughout Western Hidalgo County except in Palmview. The representatives, who included members of the Crime Stoppers’ board of directors, said they went where they were invited, to which council member Joel Garcia replied that the city had extended an invitation to them. “We’ve invited you several times and you have all not come in,” he said, suggesting that the Crime Stoppers’ lack of activity within the city was politically motivated. Garcia went on to insinuate the tension between the city and the organization stemmed from Crime Stoppers’ board member Arlando Nacianceno’s loss in the 2016 city council elections. Crime Stoppers representatives admitted there was tension with the city that was due to Nacianceno’s position on the board, but they also suggested it was the city that shunned them. “We were told, ‘You know what, you’re no longer welcome in the city,’” said one board member who later added that they came to the meeting in an effort to work with the municipality. The organization was started in 2000 by a group of citizens with the help of the Palmview Police Department, according to Arnold Sepulveda, the Crime Stoppers coordinator with the Palmview public safety department. At the time, a lot of the documentation needed for their articles of formation, such as their bylaws and minutes, were prepared either entirely or in part by police department employees, said interim City Manager Leo Olivares, who added that’s not uncommon in small communities. However, it was that use of the city’s resources which angered some of the council members who felt the organization was serving every Western Hidalgo community but their own. But the Crime Stoppers board members reiterated that they went where they were invited, and that their presence at the council meeting was an effort to work with Palmview. One of the things they hoped to work together on was the use of a vehicle which was purchased through funds raised by the Crime Stoppers. The car’s title, though, is in the city’s name and the city’s insurance carrier, the Texas Municipal League, currently only provides coverage to the vehicle when used by city employees. But even if they submit a budget, the council members hesitated to commit to letting them use the vehicle, or even allowing one of their own officers drive the vehicle for them, stating they wanted more transparency and more cooperation from the organization. Sarabia, along with Garcia and council member Javier Ramirez, all three of whom were newly elected in 2016, have previously questioned the Crime Stoppers’ operations. Olivares would not confirm or deny whether an investigation was ongoing but said he was in communication with the board to have more activity within the city.